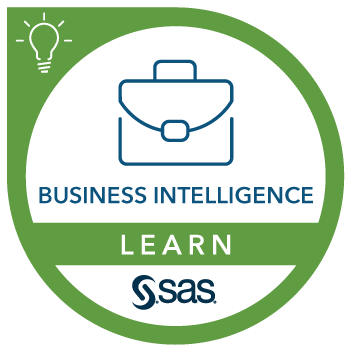 This course provides a comprehensive, hands-on overview of the platform for SAS Business Analytics applications, including SAS Data Integration Studio. Use SAS platform applications to access and build data sources for reporting and analysis. Build information maps to provide business views of data. Create reports using a web application. Access and interact with SAS content using a web-based portal. Access and analyze data using Microsoft Office. applications. Examining the platform for SAS Business Analytics applications. Working with metadata in SAS Management Console. Examining the SAS Data Management applications. Constructing a job using SAS Data Integration Studio. Creating a cube using SAS OLAP Cube Studio. Building an information map using SAS Information Map Studio. Examining the SAS Analytics applications. Working with tasks in SAS Enterprise Guide. Creating a stored process using SAS Enterprise Guide. Analyzing information using the SAS Add-In for Microsoft Office. Building SAS Reports using SAS Web Report Studio. Building a dashboard using SAS BI Dashboard. Accessing SAS content using the SAS Information Delivery Portal.